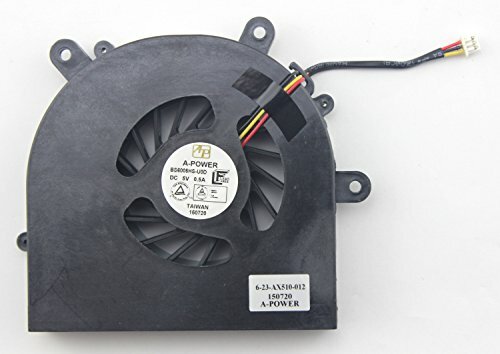 Usually a laptop may be equipped with different CPU Fans as the laptop's CPU or Graphics Card may be different even for the same laptop model. Please compare the appearance and connector Pins before order. If you are not sure about the compatibility, you can send us the CPU Fan's P/N or picture, we will help you to confirm it. Clevo P150EM P150HM P150SM P150SM-A P151EM1 P151HM P151HM1 P151SM P151SM-A. If you have any questions about this product by CHNASAWE, contact us by completing and submitting the form below. If you are looking for a specif part number, please include it with your message.